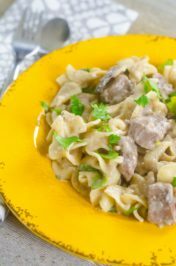 Instant Pot Svíčková is a Czech recipe that was passed down to me by my mother in law. She grew up making it in Prague. 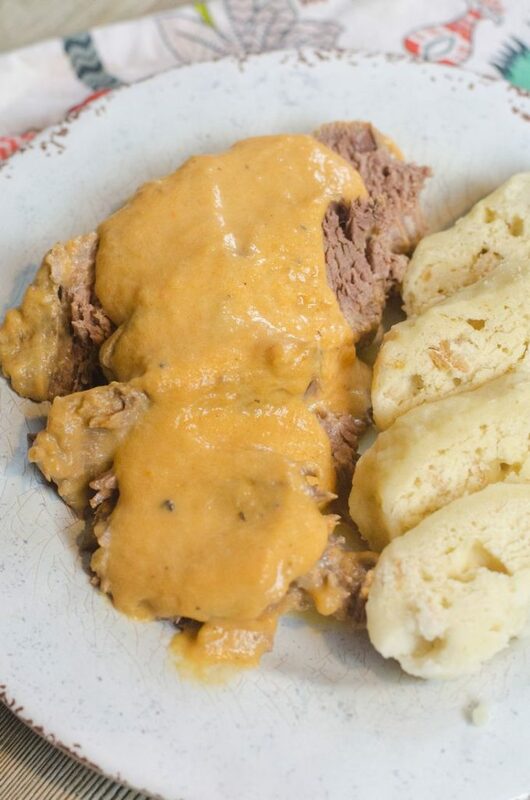 It’s roasted beef tenderloin with a carrot gravy sauce. 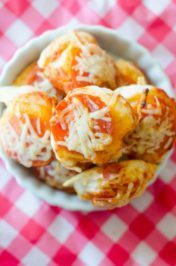 This has been converted from her oven/stove top recipe into one that can be used in the instant pot. The onions can be added to the beef roast when searing. 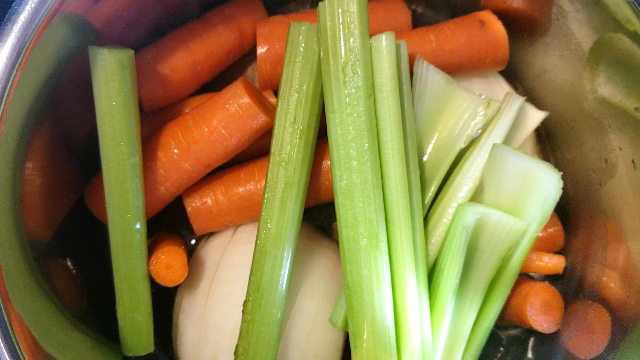 Additionally the onions can be added when the rest of the vegetables are added. This is really up to you when you would like to add the onions. After searing the roast the lid can be placed on top of the pot and the roast cooked on high pressure. Once it’s done counting the pressure is released then the vegetables are added. Cook for another 15 minutes on high pressure in the instant pot. This was made in my Instant Pot Duo Plus 6 quart. Once the vegetables are done the pressure is released. Remove the roast to a cutting board allow the juices to set meanwhile making the gravy. 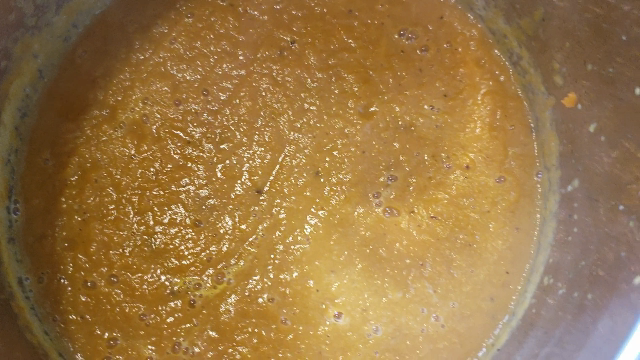 Either use an immersion blender to make the gravy or pour it into a blender and blend till pureed. 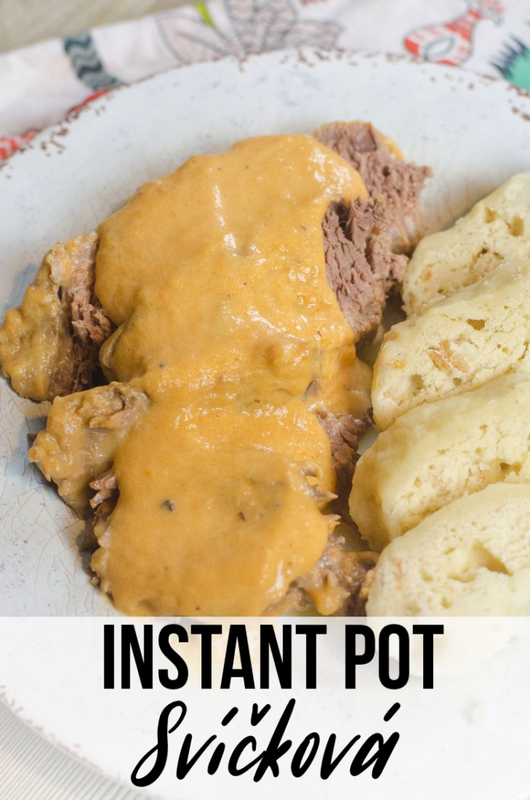 Once the gravy is blended add it back to the instant pot. Set to saute mode as you will now make the gravy to top over the beef roast. Soon I will create a video and post on how to make the dumplings. This recipe is just for the roast and sauce. If you need the dumpling recipe let me know in the comments and I can send it along. We serve this up for Sunday suppers. Great meal when it’s freezing outside. Which it will be coming soon. Right now it’s a nice 70 degrees here. Hope you try something different with a beef roast next time. I love how all the flavors merry in this recipe. Of course like all Czech food this goes great with a pilsner or amber ale beer. Czech’s are famous for pairing their food with beer. Everything compliments it. Also, a good date night at home meal. Comfort food at it’s finest. 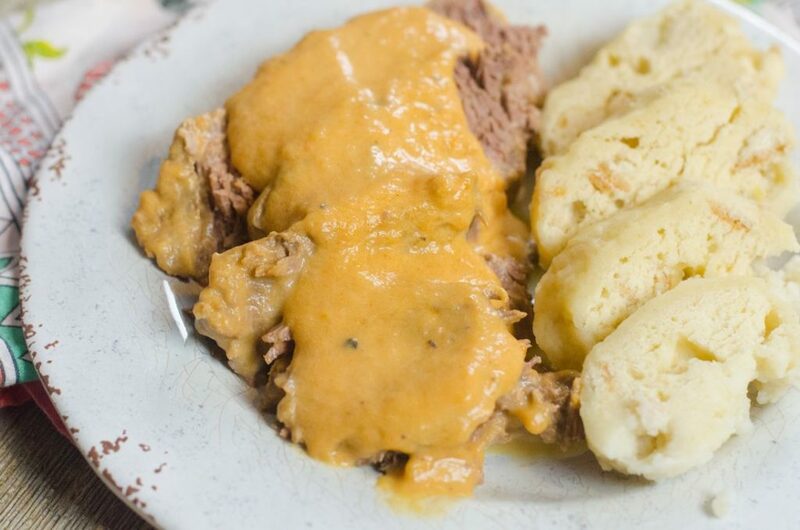 Roasted beef tenderloin with a carrot gravy over dumplings. Set instant pot to saute mode. Add roast with onions and sear all sides of roast. Turn off saute mode. 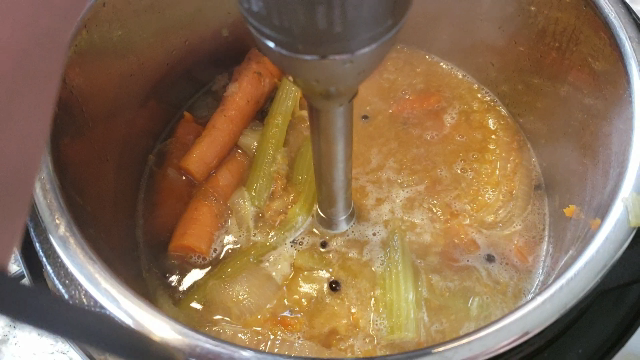 Add 1/2 cup broth. Place lid on instant pot and lock. Place pressure valve to close. Set to high pressure for 1 hour and 15 minutes. 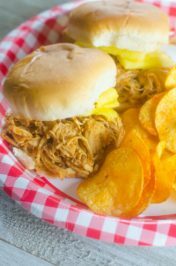 Once instant pot stops counting quick release the pressure. Open lid. Add in carrots, celery, allspice, peppercorns, and bay leaves. Replace lid on top. Lock lid. Turn pressure valve to close. Set to high pressure for 15 minutes. Once instant pot stops counting quick release pressure. Remove roast to cutting board. With an immersion blender or using a blender blend all of the vegetables and herbs. Add in lemon juice, half and half, 1/2 cup chicken broth, and wondra flour to vegetable gravy. Set to saute mode. Cook stirring often until sauce is thickened. Serve topped over sliced roast with dumplings. May also be served with noodles or rice. Oh wow! I can’t wait to cook this in my Instant pot. It looks like a very tasty recipe! Steve, no big deal, just get a box of Bisquick and make the recipe and you don’t have to work so hard to make it homemade. I sometimes is lazy and that is what I do with my Chicken and Dumplings. 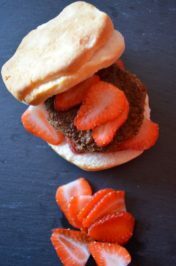 I like this recipe, being American Polish that comes from my part of the Ancestry…Love it and so doe my SERVICE DOGGIE SHELTIE. I READ YOUR BACKGROUND, AND ENJOYED IT VERY MUCH. WOW YOU HAVE AN ITALIAN BACKGROUND GREAT I LOVE ITALIAN FOOD AS WELL AS EUROPEAN SUCH AS POLISH. I AM AMERICAN POLISH, AND MY CHILDREN ARE , AMERICAN, POLISH, GERMAN AND FRENCH. LIKE YOUR BLOG LETS KEEP IN TOUCH. LAST BUT NOT LEAST I LOVE THIS RECIPE, LITTLE PRICEY AS FOR THE MEAT BUT IT IS WELL WORTH EVERY PENNY SPENT ON IT.. “KEEP UP THE GOOD WORK AND THE RECIPES FLOWING”. could you please also post the oven/stove top version? I will be working on putting that one up in a few weeks. Please keep checking back.